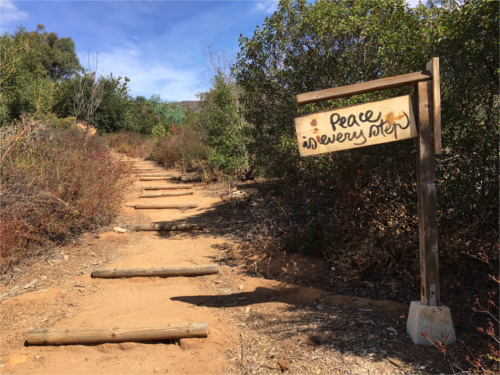 > Let’s be Life Guides! The holidays are a time for families to be together, connect with each other and create great memories. But they can also be a stressful time that bring unrealistic expectations to organize the perfect party, be the best decorated house, or buy the latest gadget or perfect present for our kids. What if we slow down just a little bit, allow ourselves to turn down the marketing pressure and focus on the only present that will really show them our love? This holiday season, let’s give presence to our children! The gift of presence is the essence of love and connection. It’s really what our kids want and need from us, not only during the holidays, but also throughout the rest of the year. The holidays are a time to be together as a family, to play and explore, to be in nature, to work on a project together or to learn a new skill. They should be a time to be and “make” things together rather than a time to consume. Time and presence are the best gifts you can give, and they are the meaningful gifts your kids really want to receive. 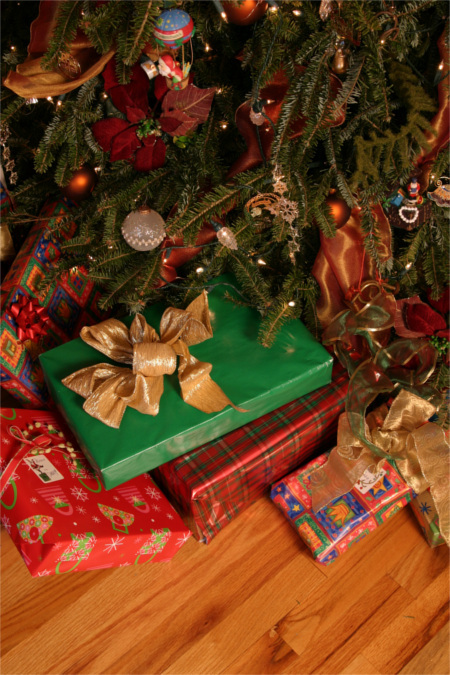 But, I also understand that you need to put something under the tree… So, I have a gift for you! 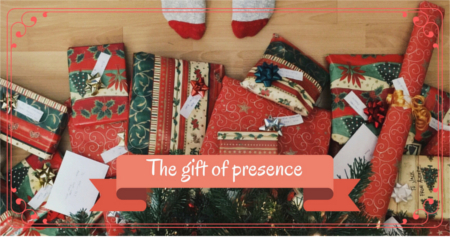 101 holiday “presence” ideas to share with your kids! I’ve been working hard over the years to reduce the clutter of useless objects and the distraction of devices that seem to come so naturally during this gift giving season. As a result, I’ve built a pretty long “be present”, “spend quality time together”, and “avoid toy clutter and electronic gadgets at all costs” list, and I thought I would share it with you this year. This is a huge list, so there should be at least one thing in here that can help you and your child enjoy presence and time together this holiday season! The world is an open book! Let’s explore it together! A saving jar (with some money in it) and a bank account to save for a trip. Great memories can be made together in the kitchen, and the holidays are a great time to share some favorite family recipes! A tea set and some poetry books to enjoy poetry teatime. My all time favorite is the blooming flower tea set paired with a book of nature poetry. I always enjoy inviting some magic to the table! A chocolate fountain is fascinating to watch and provides an amazing special treat! Real tools for real projects to tackle together. A pocket knife for the family camping trip or just some simple stick carving in the woods. Movement, activity and motion are good any time of the year for the whole family! Favorite sport equipment or a new sport to try out: tennis, golf, basketball or even something a little less traditional like… fencing! “If music be the food of love, play on!” Music is a great way to share time together. A violin or a saxophone. Enjoying the great outdoor! Honestly the best way to spend your time, ever. Walkie talkies to use during a hike or from a fort in the backyard to the kitchen. The gift of reading and writing will keep on giving for a lifetime! Science means endless possibilities of discoveries and learning! A fish tank or a bonsai kit to learn how to take care of living things. So, what about electronics? What if we could use electronics to create, instead of “being used ” and consumed by electronics? Be a maker and not a consumer! Mindstorm is a robot with infinite possibilities. This is an expensive gift, but so worth it! My kids have been using it for years and are now participating in Robotics competitions with it. Codemonkey to learn to code. Handmade is the way of the heart! I am not a really good crafter, but my kids have treasured the few items I have made for them over the years even though they were far from perfect. The most precious possession I have is a felt doll my mom made for me before I was born. Nothing, believe me nothing, you buy can beat the warmth of the time and love you put into a handmade project. You can find a lot of instructions online even if it is your first time. Your kids will love your effort. A car garage or a doll house. The gift of family time! A book of paper airplanes. A little side note: all of these presents are perfect for both boys and girls. Boys can cook and use a loom and obviously girls love robotics and science! I hope you can find the perfect gift for the special children in your life, following their special and unique interests. Most of all, I hope whatever gift(s) you find will be a way for you to enjoy being present with your child and building a deeper connection with them as well. (This post contains aff. links for your convenience).